PDC has been installing elevated platforms and office partitions since 2002. We are proud to be the choice supplier of many of the UK’s largest chains including Argos, Currys, Homebase and many more. Tailoring mezzanine floors to each of our valued clients specific needs while providing world class service is paramount to our continued success. PDC Managing Director Dean France is committed to continued growth and strength of the business through quality control and best practices. Our ethos is that the customer comes first and this applies to clients both large and small, whether it be a simple storage platform, or fully bespoke mezzanine offices then our team will be there for you. Our head office is situated in Staffordshire but we offer national coverage and have installed Mezzanine Projects throughout the UK. We are proud to have helped thousands of clients expand their businesses. At PDC we are able to handle as little or as much of your project as you require. Our dedicated project management team can handle help you through planning, design and construction. We have commissioned several turnkey mezzanine floor projects and I can say without a shadow of doubt that PDC are one of the best in the business. Every project has been delivered on-time and within budget, highly recommended. As a retail client we have high standards for design, style and public safety when installing raised platforms. PDC consultancy always present the most cost effective and brand aligned solution. 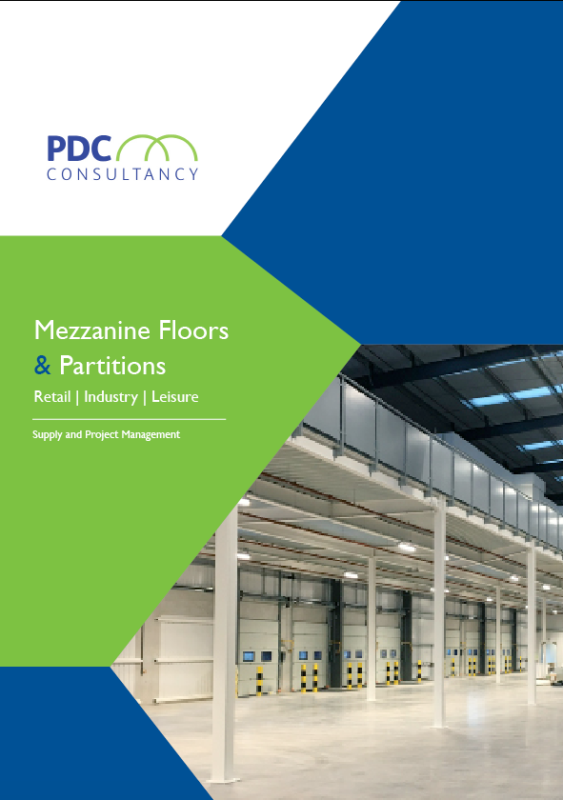 Anyone looking for a mezzanine floor for your retail space should look no further than PDC. We looked at moving premises to cope with our expanding business. Before committing to higher rents we asked PDC to look at a raised platform to lift our offices onto a mezzanine. This opened up the floor space and doubled our storage footprint. We are delighted that we can enjoy continued growth in our existing premises for a fraction of the price. This is all thanks to the creativity and experience of the team at PDC…. exceptional service. We contracted PDC to conduct the installation of our mezzanine back in August 2016. The Project from start to finish took only one month and the service we received from PDC was very always to a very good standard. PDC Project managers maintained contact throughout the job to keep us informed of progress. We were more than happy with the quality of the mezzanine which also required a fire protected structure due to the nature of our operation.